You all know we’re huge fans of delicious things made easy, and who doesn’t like pizza? So we thought we’d mash up the two. You see with ‘normal’ pizza you have to faff about with yeast; letting that dough rise for a good hour or more. But with these? You can make these babies in half an hour from scratch. 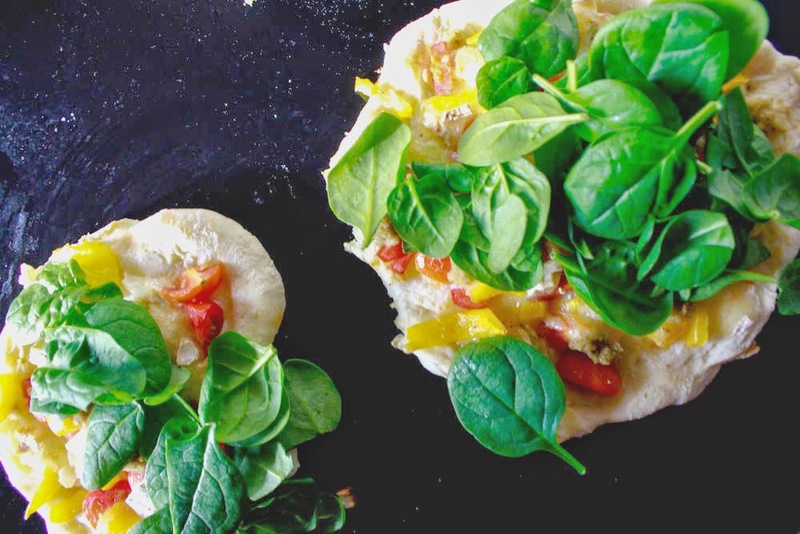 Let us introduce you to the wonders of flatbread. Flatbread is the easiest thing ever. You just take flour, baking powder (to give a little lift), water and natural yoghurt to make em really soft. Mix and toast in a pan! Top them with your favourite pizza toppings, whack them into the oven, and bam! PIZZA! Easy huh? Mix together the flour, baking powder, yoghurt and water to form a dough. Lightly knead and place in a oiled bowl. Set aside for 15 minutes while you prepare the toppings. Place in a heated skillet, once the bottom is golden transfer onto a oven tray. Add toppings and grill into golden. Remove and top with rocket or baby spinach. YUM.